Four years after he effectively retired from a long career in politics, Michael Portillo narrated a popular series for BBC Two titled Great British Railway Journeys. Travelling around Britain by train, Portillo followed a descriptive nineteenth-century railways guide written by George Bradshaw. He wanted to see what remained of the Britain that Bradshaw had written about during the industrial revolution, and the continuing effect today of the technology and engineering that made it possible, during the era when Britain was the world’s leading commercial nation. Portillo had been a Conservative cabinet minister, serving as Minister of State for Transport under Margaret Thatcher and Secretary of State for Defence under John Major. Later, he was involved in a controversy over a gay relationship he had had in the 1970s. A businessman called Nigel Hart claimed to have been in an eight-year affair with him that ended only when Portillo decided to marry. Portillo said it had only been an experimental fling during his Cambridge years, long before his political career, but Hart, in an Oscar Wildean comment, replied that Portillo was “being somewhat economical with the actualité”. Joe Dolce’s essays, reviews and poetry appear regularly in Quadrant. Portillo retained his popularity throughout the media storm, standing for the leadership of the Conservatives in 2001, coming in third. He left the House of Commons in 2005, to pursue media, television and radio opportunities. Three years before, Portillo had presented a one-off episode, for BBC’s Great Railway Journeys, titled “Granada to Salamanca”, which illuminated his little-known Spanish roots. Portillo was born in Hertfordshire, but his father had left Spain when the Republicans lost the Spanish Civil War. Portillo’s mother was Scottish and her father was a wealthy linen-mill owner, John Blyth, from Kirkcaldy. Portillo’s Spanish passport lists him as Miguel Portillo (pronounced por-tee-yo) Blyth. Beginning in 2009, using the 1863 Bradshaw, he hosted nine series of Great British Railway Journeys for BBC Two. He went on to present other travel documentaries of this nature, including Great Continental Railway Journeys and Great American Railroad Journeys. I have a small apology to make. A little over a year ago, confronted by a new series of Great Continental Railway Journeys, I wrote a piece confessing that I couldn’t stand its presenter. Michael Portillo, I said, seemed slimy and ill at ease on camera. I said he looked lacquered, that he dressed like an early 1990s gameshow contestant. The show itself was great, but I argued that this was despite Portillo, not because of him. But now I’m here to apologise. I’ve been watching Portillo’s new series Great American Railroad Journeys … and, as much as it pains me to admit this, I got it wrong. Portillo is actually a weirdly compelling host. In fact, there might not be a presenter as gleefully unselfconscious working today. Watch any of his train shows and his passion for their twin subjects—railways and history—is evident. George Bradshaw (right) was born in Salford in 1801, and worked in Belfast as a printer and engraver. He returned to England in 1827 to become a map-maker, creating Bradshaw’s Maps of Inland Navigation, detailing the Lancashire and Yorkshire canal system. When Parliament passed legislation that all railway companies had to run at least one train a day at affordable rates, Bradshaw saw the need for a uniform railways guide to help people navigate the difficulties of time-management in the new public transport system. When the great fire of 1666 destroyed almost the whole city within the walls, London possessed an architect worthy of raising the fallen capital from her ashes. But the citizens rejected the beautiful plan of Sir Christopher Wren, who proposed to make St Paul’s the centre of the metropolis, and to carry spacious streets radiating in direct lines to the principal parts of the suburbs. The handbook was legendary in its own time. Phileas Fogg mentioned it in Around the World in Eighty Days, and Sherlock Holmes referred to it. It is in the Poets’ Corner, however, that the pilgrim’s footsteps most fondly linger. 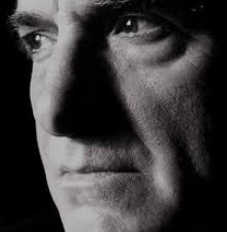 It is there that his eyes trace and retrace names, and study lineaments, connected with his sublimest and tenderest associations. No place in the world is so capable of recalling to “memory’s light” so many associations connected with whatever is most god-like in human genius … Which is there of modern times that can boast such a name as Shakspeare [sic]? Where shall we look for the counter-part of the divine Milton? The monuments of the Poets’ Corner are blackened by time, but the memory of those to whom they are sacred is still … “that venerable shrine where repose the ashes of our patriots, poets, and sages”. 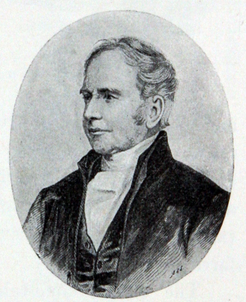 Bradshaw died in 1842, in Norway, of Asiatic cholera. The first journey is the Liverpool-to-Scarborough line, the oldest railway line in Britain. Liverpool was the second-largest port, after London, in the 1800s, and this line was designed to take cotton from Liverpool’s docks to Manchester’s mills. Like many busy ports it was an immigration hub, and Jews made up 10 per cent of the population—Liverpool had seven Jewish mayors—but now comprise less than 1 per cent. Five minutes of admiration, and a few more spent studying the manner in which art had been employed to obtain from nature so much beauty, and I was ready to admit that in democratic America there was nothing to be thought of as comparable with this People’s Garden. Fives miles east of metropolitan Manchester, in Denton, there had once been ninety hat factories employing half the population. The railways made commuting possible and changed the fortunes of people living outside the town centres. In Todmorden, Portillo goes up in the Network Rail Helicopter, which employs infrared cameras to safety-inspect Britain’s 20,000 miles of track. In Victorian times, linemen carrying lanterns had to walk the tracks at night to do this. In Pontefract, we meet the last licorice grower. Six hundred years ago, licorice was imported from Spain and cultivated by monks. It is still referred to locally as a stick of Spanish. The sweet root is chewed, and Queen Victoria was so fond of it it destroyed her teeth. The nearby town of Hull once possessed a fleet of sixty whaling ships, the largest in Britain. Up to twenty fish-trains a day took sea-fish inland. The railway was responsible for the spread of fish-and-chips as the “national dish”. Before then, inland people had had little access to sea-fish. The intricate patterns knitted into the gansey stylistically represent ropes, pebbles on the shore and the ups and downs of life. Other fishing villages used different patterns, thus when a body was washed up on the shore, it was possible to tell from which village the drowned person came from. As each family had “mistakes” incorporated into the style for each member of the family, it was possible to tell exactly who the person was. The second of Portillo’s journeys is the Preston-to-Kirkcaldy line. There were once fifty cotton mills in Preston. It was also the home of the early temperance movement. In the 1900s, one out of ten took the pledge: total abstinence. Who asked if I would lend her my Bradshaw’s Guide. Portillo then walks across Morecambe Bay, the largest expanse of tidal mudflats in Britain, requiring the assistance of a “government guide”, due to dangerous quicksand. Tourists have perished attempting this unaccompanied at low tide. The town of Settle is special to Portillo, as he was instrumental in saving its rail line from closure by British Rail in the 1980s. The viaducts were falling apart and patronage was low. Portillo considered it historically important, and persuaded Margaret Thatcher, another history buff, to intervene. The resulting publicity resulted in ticket sales of 300,000 a year. Portillo considers this his most satisfying achievement in public service. He passes through Grasmere in the Lake District, where private steamboats were once hired by the wealthy. Wordsworth lived there for fourteen years, in Dove Cottage. His entire family is buried in the churchyard of St Oswald’s. Coleridge is said to have written some of “The Rime of the Ancient Mariner” while walking the fells. On the approach to Scotland, Portillo talks of the wild clansmen of Carlisle, the Border Reivers. For seven hundred years, the English and the Scots argued over the boundary. Reiver families sprang up, without allegiance to either England or Scotland, only to their clans. Official law and justice were non-existent. The next stop is Gretna Green, still popular for its “fugitive” weddings, and known as the “town built on love”. Couples forbidden to marry in England could wed here because of Scotland’s more liberal marriage laws. The local blacksmith’s anvil became the symbol of strong weddings and the good-luck clang lingers on: a sixth of all Scottish weddings still occur here. During the First World War, due to its remoteness Gretna Green became the site of the United Kingdom’s largest cordite factory. “Devil’s porridge”, a combination of nitroglycerine and cotton, used in shells, was produced in quantity, mostly mixed by women, resulting in discoloured teeth and orange hair. Workers became known as “canary girls” because of their yellow skin from frequent contact with sulphur. Portillo goes on to Lockerbie, which in 1988 felt the fallout from a terrorist attack. Transatlantic flight PanAm 103, from Frankfurt to Detroit via London, was destroyed by a bomb, killing all 243 passengers and sixteen crew. Large sections of the aircraft crashed onto the residential areas of Lockerbie, killing eleven residents on the ground. Lockerbie had suffered another horrendous accident in 1915, when a troop train crashed into two other trains. There was a ball of fire and 227 men died. The blame was placed on signalmen. The accident was under-reported, due to war censorship, but it led to the banning of gas lighting on trains. I knew my grandfather … and he played with us well, especially when we went to the linen factory … and he could wheel us around on the trolleys that had once moved product … When we descended wearily from the overnight train from London, having spent the night in its cheapest seats, a chauffeur in double-breasted coat, peaked cap and massive driving gloves, was there to whisk us in a monogrammed Daimler to breakfast … even then, the paintings were what drew my naive attention … [he] had a passionate commitment to Scottish artists. He collected them, befriended them and fought for them to be recognized. 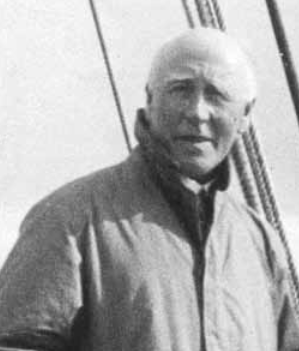 Blyth’s collection of artworks, at the time of his death in 1962, included eighty-four Peploes, forty-five McTaggarts and twenty-four Sickerts. The Swindon-to-Penzance line, our third journey, was once known as the “holiday line”. Before railways, seaside escapes were rare for average people. Trains changed the way people vacationed. The town of Swindon was the headquarters of the Great Western Railway and the trains were built there by Isambard Kingdom Brunel, who also designed dockyards, bridges, tunnels and the first propeller-driven transatlantic steamship. The company established thousands of houses for workers and their families, and three-quarters of the town was employed by the railway. Every July workers were offered “free trip” month—no fares were charged and the town stopped for a week. One of the spots that workers and their families visited was Bath. Before trains, only the wealthy could afford to “take the waters” at the Roman-built bathhouses; the water was said to have healing powers. Further on, Portillo visits Cheddar, the home of Cheddar cheese, created from local ingredients and left to mature underground in a labyrinth of caves in Cheddar Gorge. A complete 9000-year-old set of bones, Cheddar Man, was found in Gough’s Cave in 1903, and remains Britain’s oldest complete skeleton. On to Weston-super-Mare, and Birnbeck Pier, one of the oldest piers in Britain. In the Second World War the pier was taken over by the Directorate of Miscellaneous Weapons Development, and re-christened HMS Birnbeck. The “Bouncing Bomb”, designed to skip to a target across water to avoid torpedo nets, was developed and tested here, as the pier allowed access to deep water. Portillo stops in nearby Totnes, a town focused on Green Power and renewable energies. Taxis run on recycled cooking oil. Totnes has its own currency, the Totnes Pound (equal to one British pound), whose purpose is to encourage people to buy locally and keep money in the town. Signs in the windows of eighty shops say, “Totnes Pounds accepted here”. In St Austell, Portillo goes down into the Littlejohn’s Clay pit mine, 500 acres in extent, still in service after 180 years. Its chinastone clay, due to its durability and brilliant white colour, is in great demand in the manufacture of paper. St Ives is next, named after Saint Ia of Cornwall, a fifth-century Irish princess and martyr. The legend is that Ia was grief-stricken, praying by the sea, when she saw a leaf floating on the water. She touched it with a stick and it began to grow, and carried her across the Irish Sea to Cornwall where she founded a parish. St Ives started attracting artists in great numbers in 1877 following the rail extension to West Cornwall, and later fostered an artist’s colony, which sprung up after the First World War. Journey Four, the Buxton-to-London line, begins in the spa town of Buxton, Derbyshire, where warm springs were first discovered in nearby Matlock Bath in 1698. Lord Byron was a frequent visitor, dubbing the area “Little Switzerland”. Portillo investigates the Peak District and the dark moorlands, which have been inhabited from the Mesolithic era. They are a tragic illustration of how pollution from the industrial revolution is affecting the present generation, with fatal damage to the peat bog due to acidic rain from the many coal-fired cotton, lead smelting and timber mills that once commanded the area. Two hundred and forty years ago, there were no factories. In Cromford, Portillo visits the oldest one still in service, an example of the modern mass production system designed by Sir Richard Arkwright, whose skills of organisation combined power, machinery, semi-skilled labour and the new raw material of cotton to create yarn for the masses. Portillo explores Birmingham, Britain’s second-largest city, which was almost destroyed in the Second World War during the Birmingham Blitz. Ugly structures were hastily put up to replace lost buildings, but the town is now renovating its cultural history. 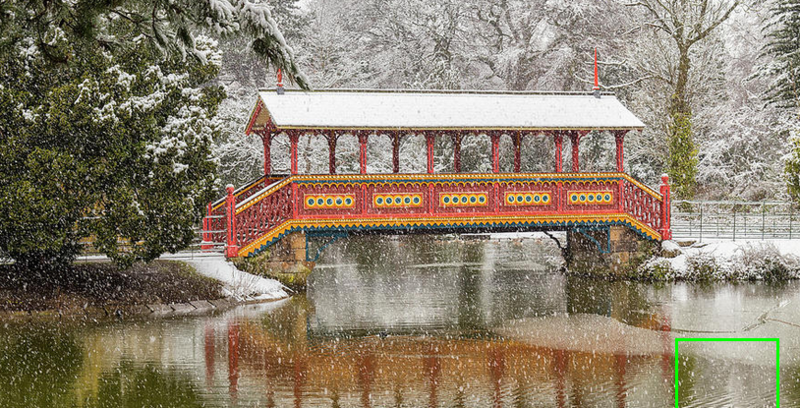 In nearby Bournville, the home of Cadbury chocolate, he finds an isolated fishbowl of history. George Bradshaw, with his Quaker beliefs, would have felt at home here. 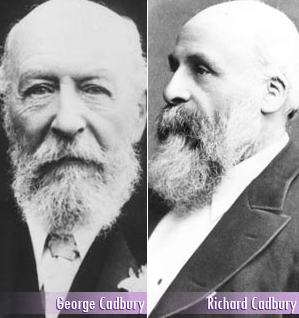 George and Richard Cadbury (right) came from a wealthy Quaker family, and designed the town as a sustainable model community. With their strict religious upbringing, attending university was denied to them, but capitalism was not. Quakers forbid the drinking of alcohol, and no pub has ever been built in Bournville. Sir Dominic Cadbury, the last member of the dynasty to sit on the company’s board, advocated “Quaker capitalism” and values to help companies to regain their moral compass. He said Quakers “saw their business as a means to build a better world and their wealth as an asset to be used for the improvement of their communities and society”. Bradshaw’s Quaker beliefs can also be seen in the early editions of his handbook, when he avoided using the names of months and days, which were based on pagan deities, instead substituting “First month” for January, “First day” for Sunday, and so on. Portillo disembarks in Coventry, walking through the ruins of St Michael’s Cathedral, built in the fourteenth century, but destroyed during the Coventry Blitz of 1940. The Luftwaffe bombarded the city, leaving 500 dead. One survivor commented, “You could chew the dust.” Sir Basil Spence undertook the rebuilding of Coventry Cathedral, incorporating the rubble of the ruined church into the new structure so that the new appeared to rise from the old. In Aylesbury, Portillo visits Hartwell House, a property first mentioned in 1086 in the Domesday Book. He stops in Watford Junction and we hear about the London evacuation of 1939, when trains helped transport 1.5 million London children to safety. In St Pancras, he visits the Renaissance London Hotel and Railway Station, saved from demolition by a group that included the poet John Betjeman, who called the plan a “criminal folly”. A statue of Betjeman was erected on the successful reopening of the station in 2007. It is difficult to answer definitively Portillo’s fundamental inquiry, “What remains of Bradshaw’s Britain?” For the most part, the visionary infrastructure put in place during the Victorian industrial revolution still remains: the railway system, the factory system, the communications and banking systems. Yet, as Portillo notes, “nothing dates faster than yesterday’s view of the future”. This was a two-step process. In the late sixteenth and early seventeenth centuries, a European-wide market emerged. England took a commanding position in this new order as her wool textile industry out-competed the established producers in Italy and the Low Countries. England extended her lead in the late seventeenth and eighteenth centuries by creating an intercontinental trading network, including the Americas and India. Intercontinental trade expansion depended on the acquisition of colonies, mercantilist trade promotion and naval power. London exploded from a population of 50,000 in 1500, to one million in 1800, and nine million in 2016. One clear change Portillo observes is that many towns are returning to localised production, individual expression and creativity, and conscious efforts towards keeping small businesses alive in their communities. Railways once brought milk, sea-fish and other food to hard-to-reach communities, but now, in many places throughout Britain, it is almost reverse-motion—emphasis on things locally grown and made. Paradoxically, this also means a return to one of the strengths of Bradshaw’s Britain: pride in unique individual creative output—quality over quantity. For instance, in Walsall today, one saddler makes only two or three custom saddles per week, all the bits, from start to finish. Portillo says, “Bradshaw told people: ‘Where to travel, what to see and where to stay’,” and one thing that has not changed is that then, as now, the smallest towns sometimes have the richest stories. Joe Dolce reviewed in the July-August issue. Articles like this definitely add to the joy of reading Quadrant, thank you. Superb article. Is there nothing Joe can’t write beautifully about? I love Portillo’s programs. Thankyou (a grateful subscriber).